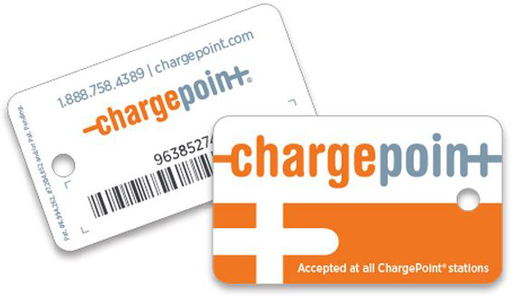 Charging fees can be paid via credit card or prepaid ChargePoint cards. A new ChargePoint charging station is located at 2425 Dooley Drive, underneath the Clairmont Tower. Transportation and Parking Services has announced the installation of a Level 2 charging station on the Clairmont Campus. A single ChargePoint station with two ports is installed at 2425 Dooley Drive, underneath the Clairmont Tower. With the assistance of the Office of Sustainability Initiatives, Emory was awarded a matching grant from Georgia Environmental Finance Authority (GEFA) to install the charging station on the Clairmont Campus. Campus Life partnered with TPS to provide the match. Emory will provide usage data to GEFA for the next three years. Campus Life and TPS have also partnered to fund the installation of two Level 2 ChargePoint stations in the Peavine Deck. These units should be installed and available for use by the end of May. The charging rate is $0.85 per hour for the first four hours and $5 per hour after four hours to encourage users to move their vehicles so chargers are available for others. Payment options include ChargePoint prepaid cards and credit cards. More information can be found on the Transportation and Parking Services website. Electric vehicle owners will be able to use ChargePoint.com services to see the availability of the charging station.